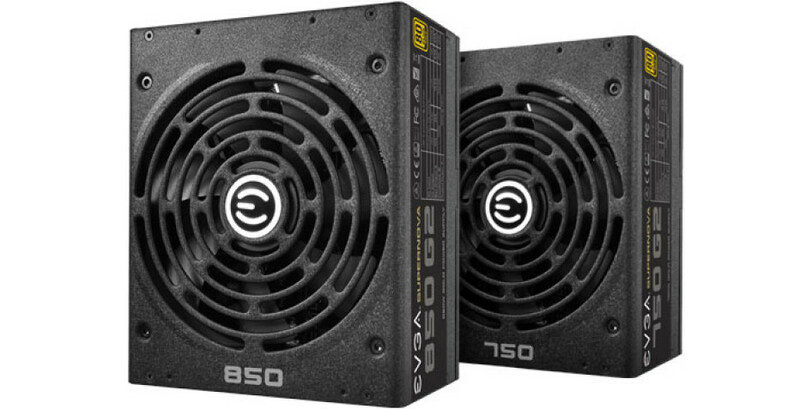 EVGA has announced two new power supply units (PSU) that come with the staggering 10 years of warranty. The new PSUs belong to the company’s SuperNOVA line and can output 750W and 850W of power. Based on the EVGA G2 series the new PSUs are fully modular and make use of high-quality components. The SuperNOVA units also come with a single 12V rail and 80 Plus Gold certification for excellent effiency. In addition they sport what EVGA calls a Dual Thermal Control System, which provides silent operation at low loads, improved efficiency and a longer life span of the cooling fan. Both PSUs come with 24A on the 3.3V and 5V rails and 70.8A on the 12V rail for the 850W model and 62.4A for the 750W model. The pricing of the new SuperNOVA PSUs is unknown though.